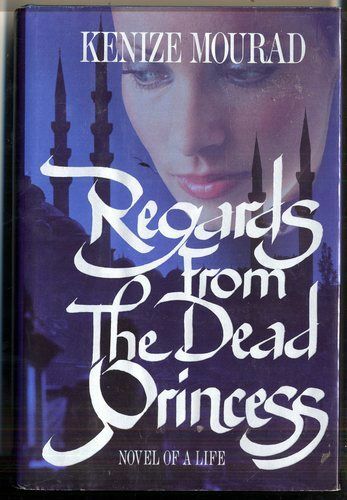 Ever since I read Regards from The Dead Princess when I was 16, I had a profound desire to visit Istanbul. The magic portrayed in Kenize Mourad’s words literally had me daydreaming about this city. I recently informed you guys about my recent move to Madrid, therefore my mom and I decided to make a mother-daughter trip and chose Turkey as our destination! We visited Istanbul and the kapadokya region. During our stay in Istanbul, I informed our guide of my love for this precious book and was interested in visiting the places Princess Selma mentions throughout the story. Our first visit was the renowned Dolmabahçe Palace, located on the European coast of the Bosphorus. Its construction began in 1843 until 1856, during the reign of the empire’s 31st Sultan Abdülmecid. The Sultan and the rest of his family lived in the Topkapi Palace, being the main residence for imperial family for centuries. However, Sultan Abdülmecid came to the realization that this palace lacked in contemporary European style. Therefore, he decided to build a palace that could fit in that description and chose the site of the previous Beşiktaş Sahil Palace, that was previously demolished. As a result, Dolmabahçe served as the headquarters of the Ottoman Empire from 1856 to 1924. Among the Sultans that lived in this stunning palace, was Sultan Murad V. This Sultan can alse be known as our precious Princess Selma’s grandfather! Another meaningful fact about this palace, is that Mustafa Kemal Atatürk (Founder of The Republic of Turkey) spent his last living days in a bedroom of this palace within the harem area. He died on the 10th of November at 9:05 am, so the clock in this room still marks this time to commemorate his death. Furthermore, we visited the Topkapi Palace Museum. It is surrounded by the Sea of Marmara, the Bosphorus and the Golden Horn. More importantly, it covers an approximate area of 700,000 square meters. Its construction was ordered by Sultan Mehmed II, the conqueror of Constantinople, in 1460. The palace served as the main residence for the Sultan and his family for generations, since 1478 until 1850. It aso held state meetings and was where all its governors were educated. In 1850, they decided to transfer to the new Dolmabahçe Palace, although the royal treasure, the Holy Relics of the Prophet Muhammad, and the imperial archives were kept at Topkapi. palace continued to play host to certain state ceremonies. What I personally loved of this palace in particular, was the lack of European influence. Here you can appreciate every aspect of the Arab culture and its history. Of course I must say that my favorite room was the Sultan’s Library that consisted of a separate building on its own! Also known as the Church of the Holy Wisdom or Church of the Divine Wisdom. Once a church, then a mosque, and now a museum in Istanbul! This building contains so much history I was almost in shock! It was first built in Constantinople under the command of Byzantine Emperor Justinian I. Being today the most important Byzantine structure still alive. On the other hand, after the Turkish conquest of Constantinople, Sultan Mehmed II turned it into a Mosque. Here you can appreciate symbols in both contradictory religions like Islam and Christianity. You will find beautiful and important Mosaics representing Christian history. However, you will also appreciate Muslim symbols such as the prophet’s name on the ceilings and meaningful phrases within this religion. Also known as The Blue Mosque due to the numerous blue tiles surrounding the interior of the building. It was built between 1609 and 1616 during the rule of Sultan Ahmed I. Unlike Hagia Sophia, you can still visit this mosque for prayers and ceremonies. Something I did not realize before visiting this mosque, is that in order to pray, you should clean yourself up before entering the premises. Therefore, there are water fountains outside so that men can clean themselves. Also, women have to cover their heads so they can be allowed in, even if you’re a tourist. These were my favorite spots in the city and I highly recommend them. I was able to visit a lot more places that were absolutely stunning, like the Grand Bazaar and the Spice Bazaar. It was a dream come true being able to experience these important sites mentioned in this special book!